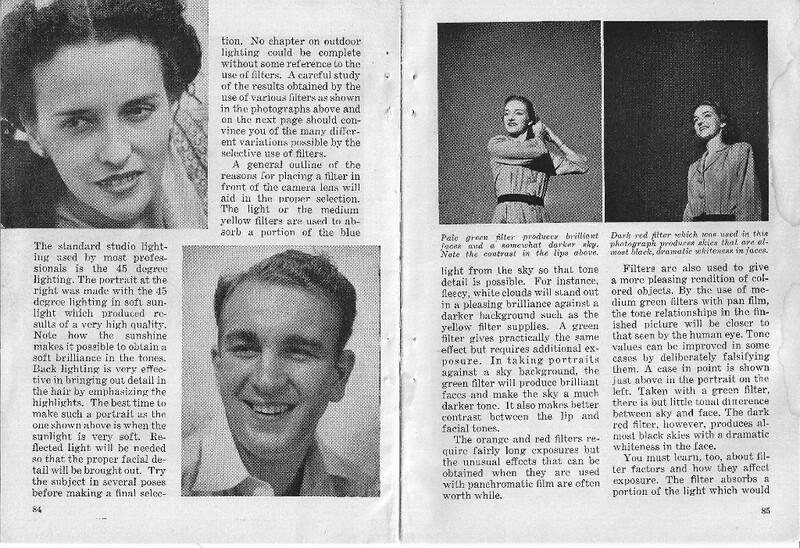 Dale Rooks was not just a great photographer of the 1940s and 50s; he wrote the book on photography and taught it at Kent State University. 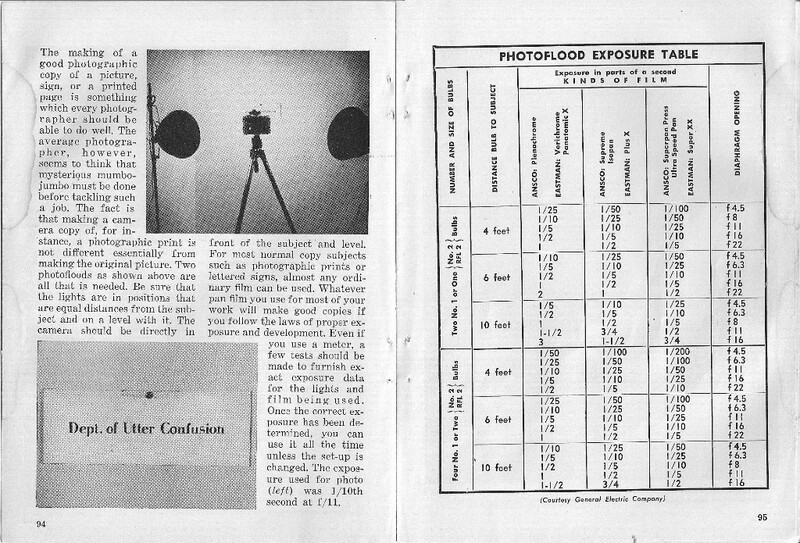 This book improved over 10 years shows how complicated and difficult film and paper photography really was. 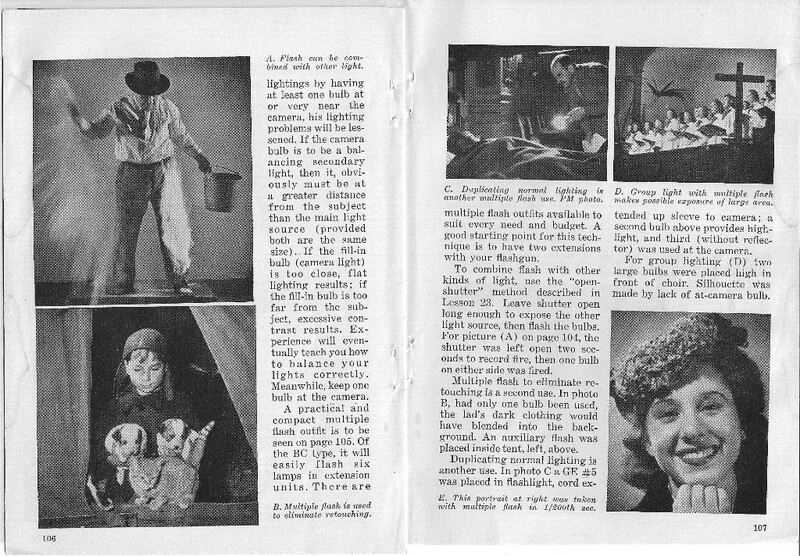 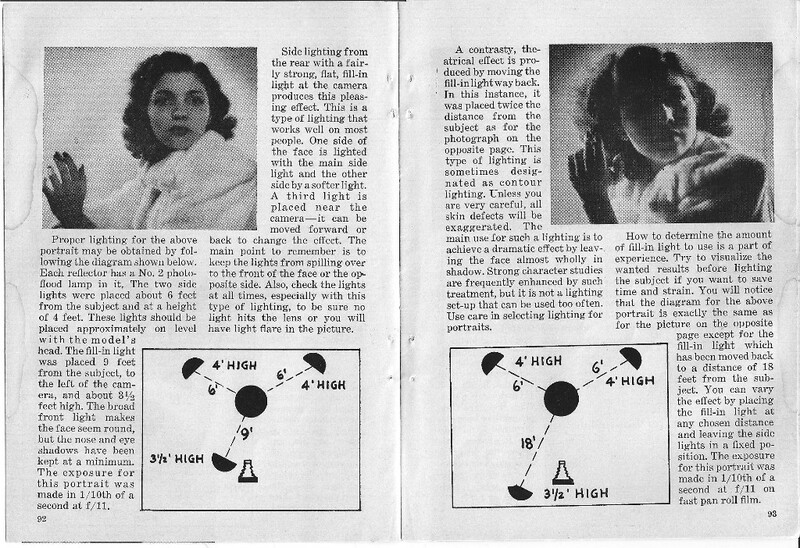 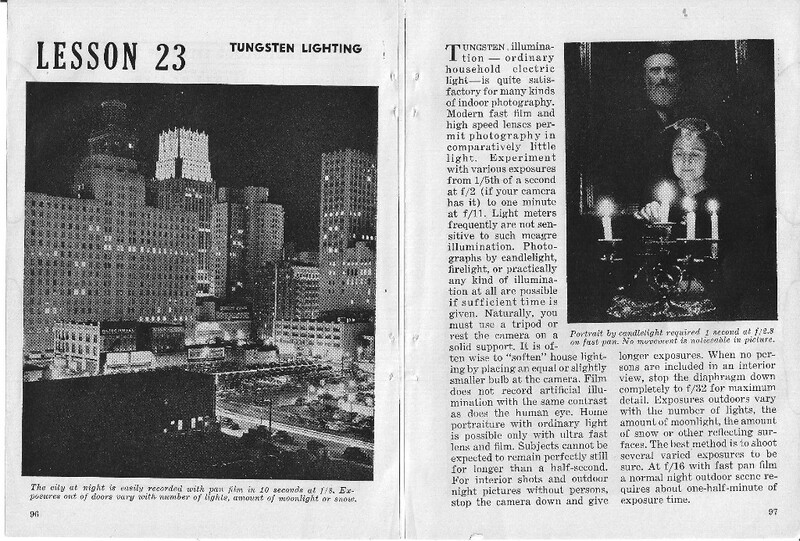 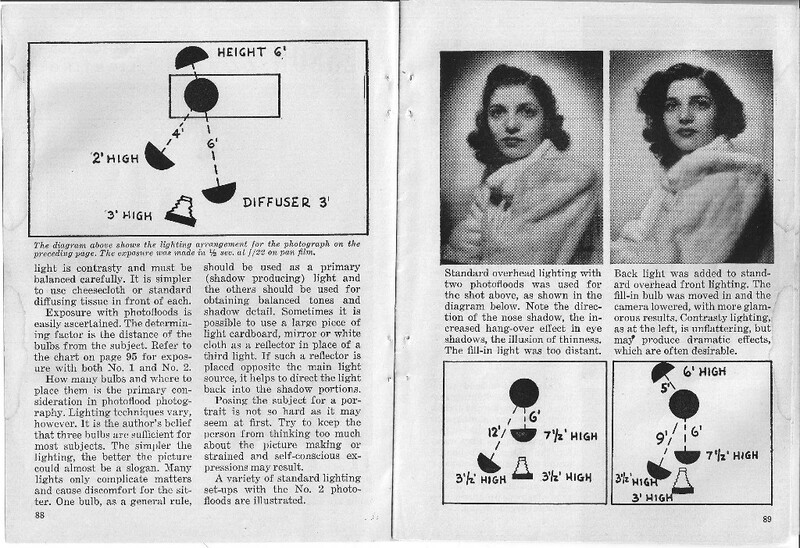 The book is still valuable today for teaching scene lighting and composition. 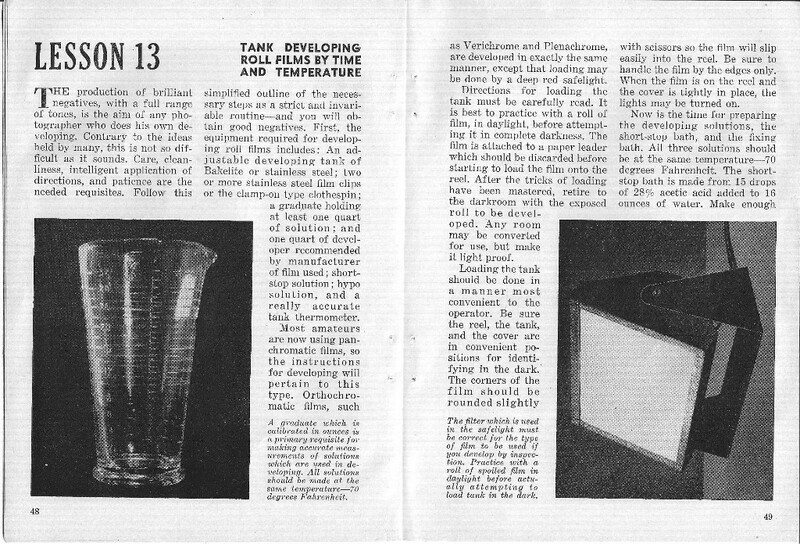 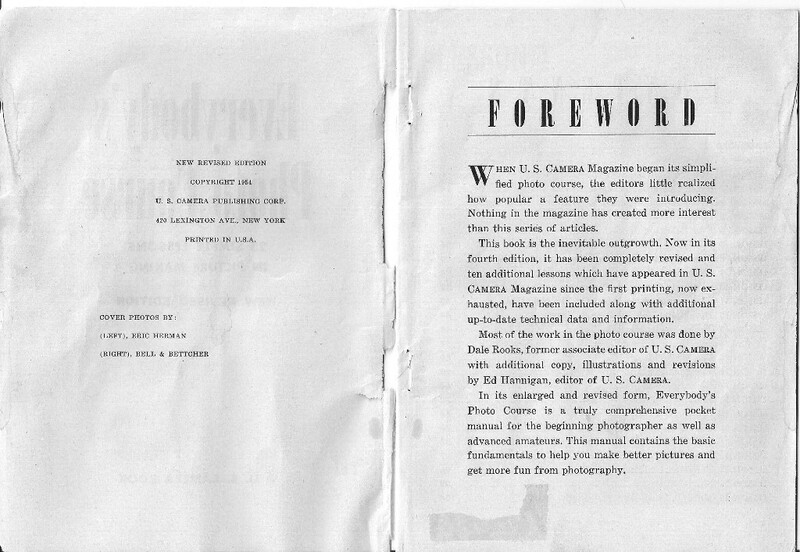 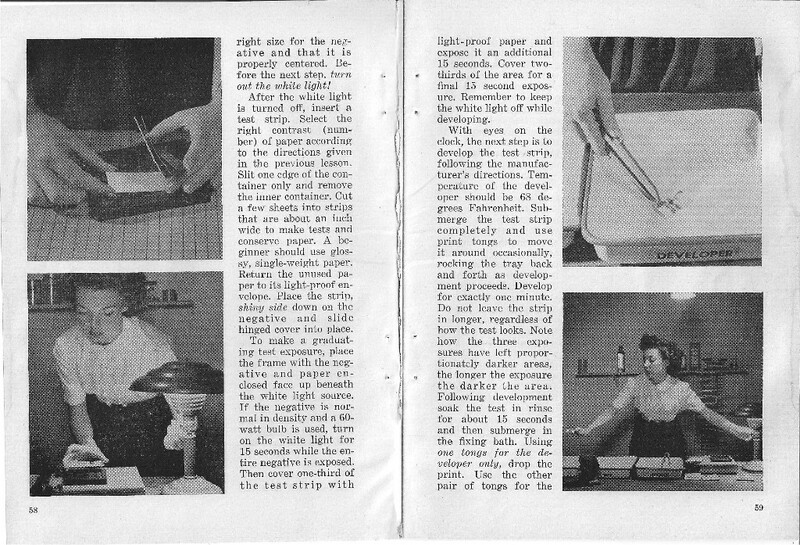 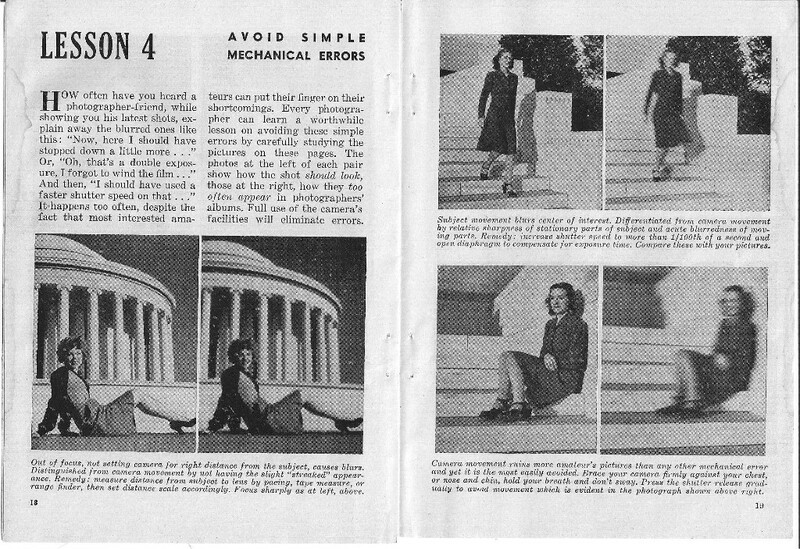 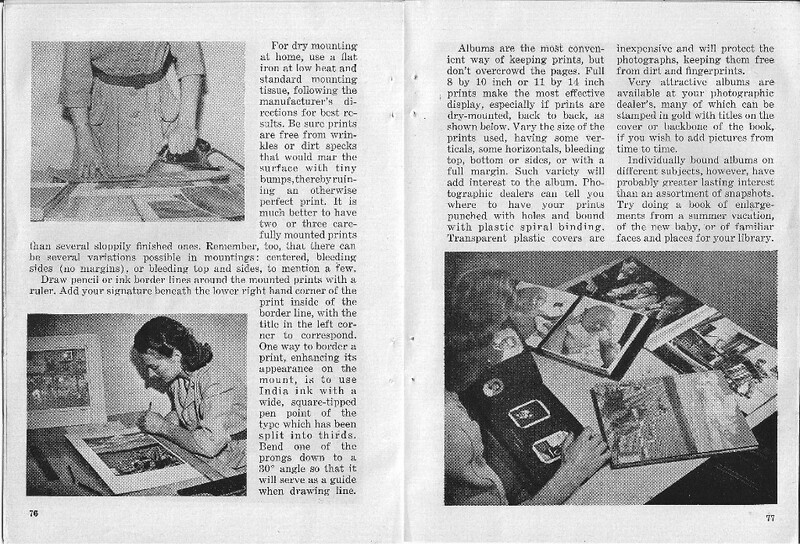 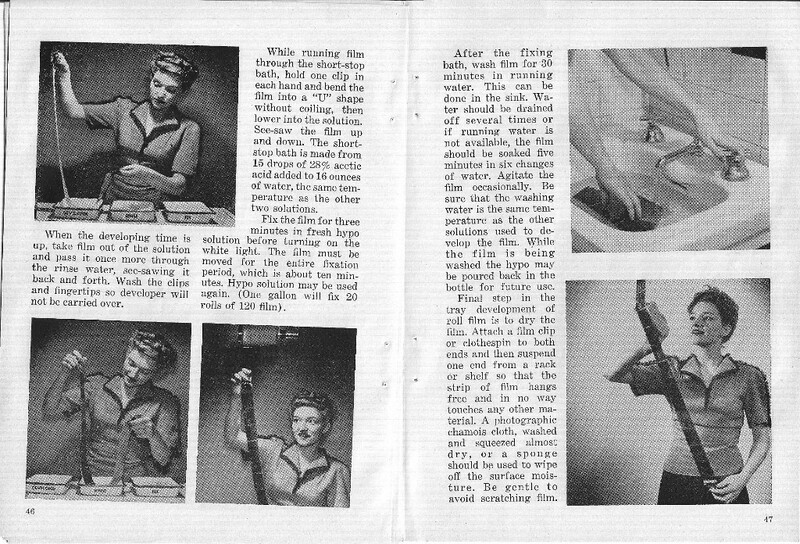 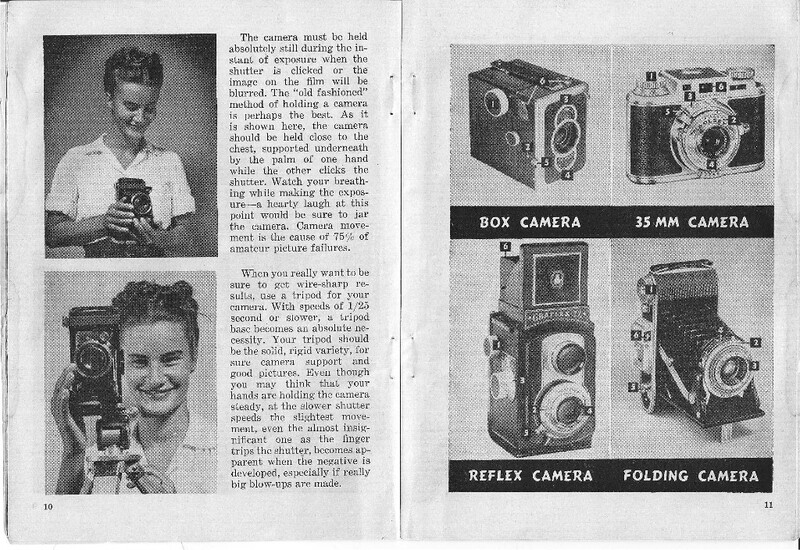 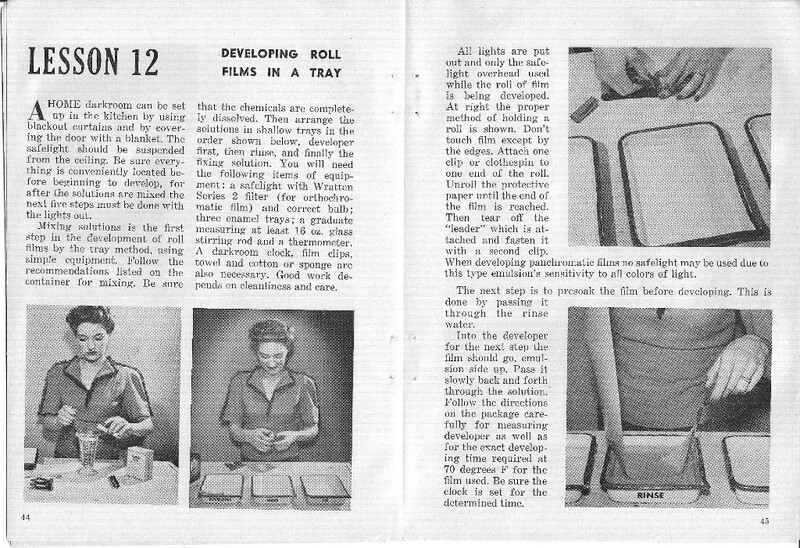 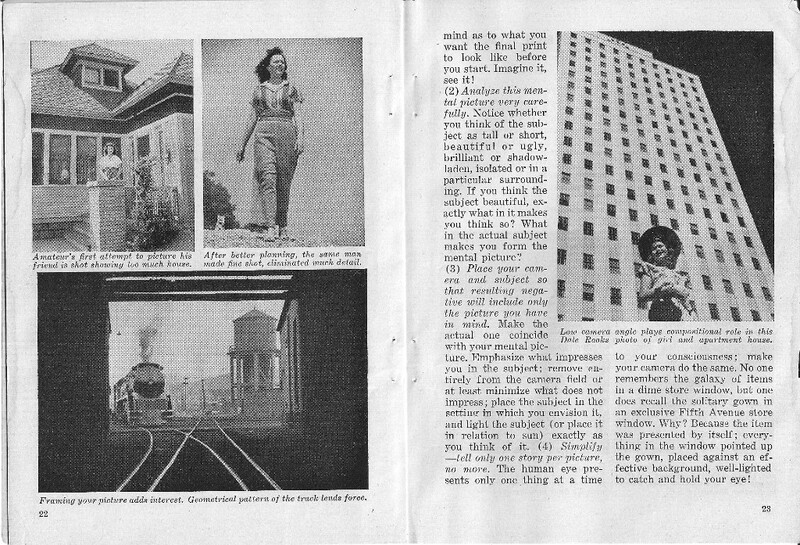 The following is the Forward to “Everybody’s Photo Course” (1945 Hard Cover) published by U. S. Camera. 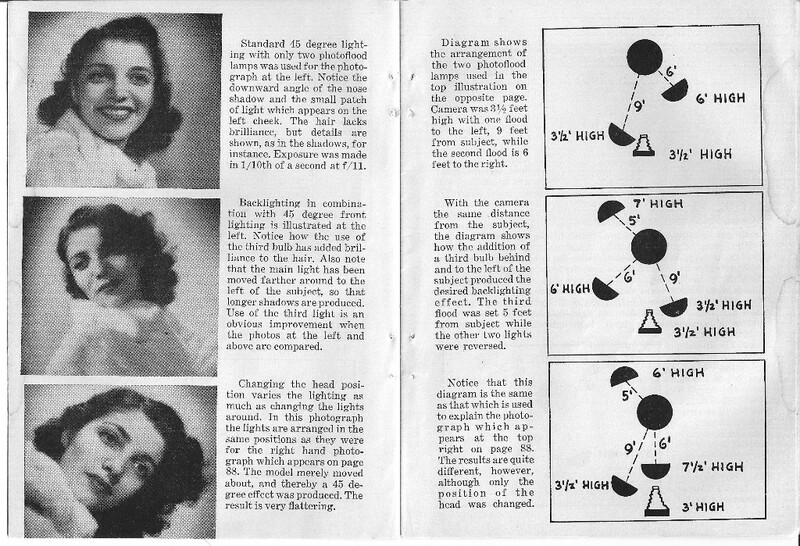 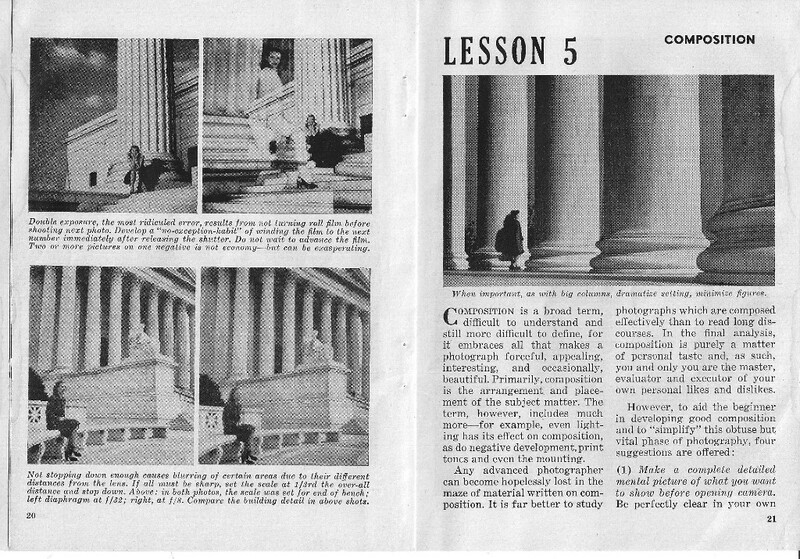 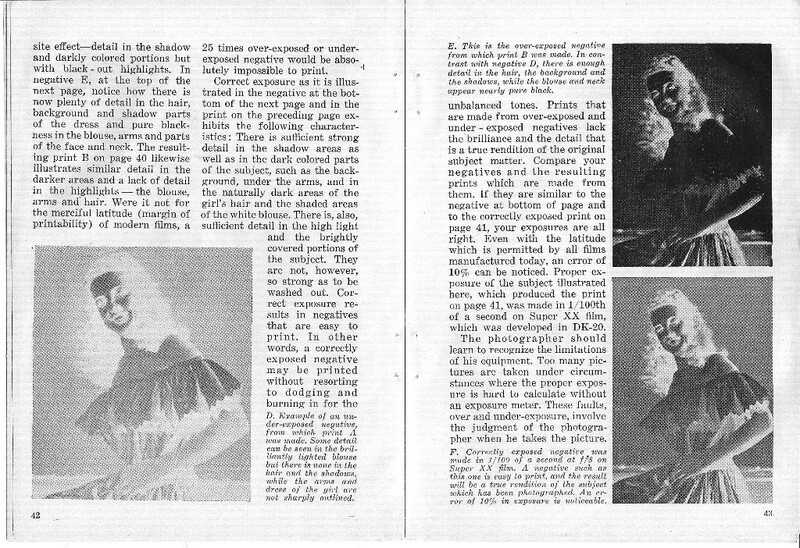 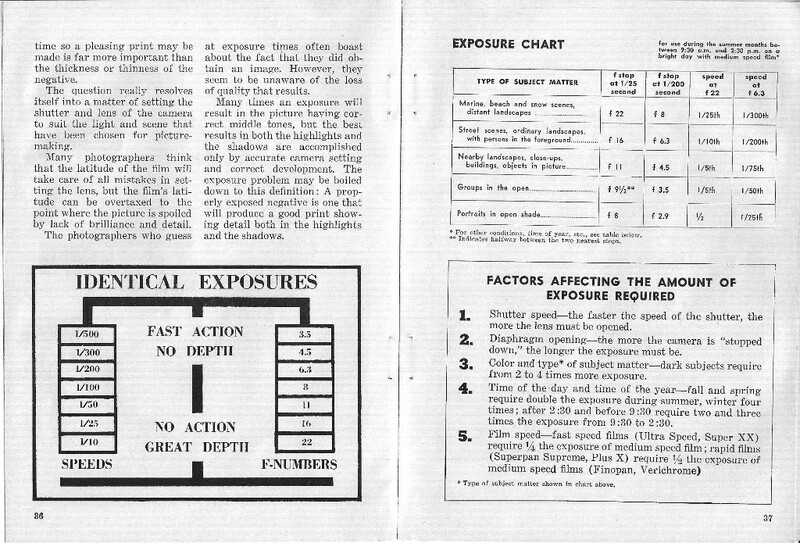 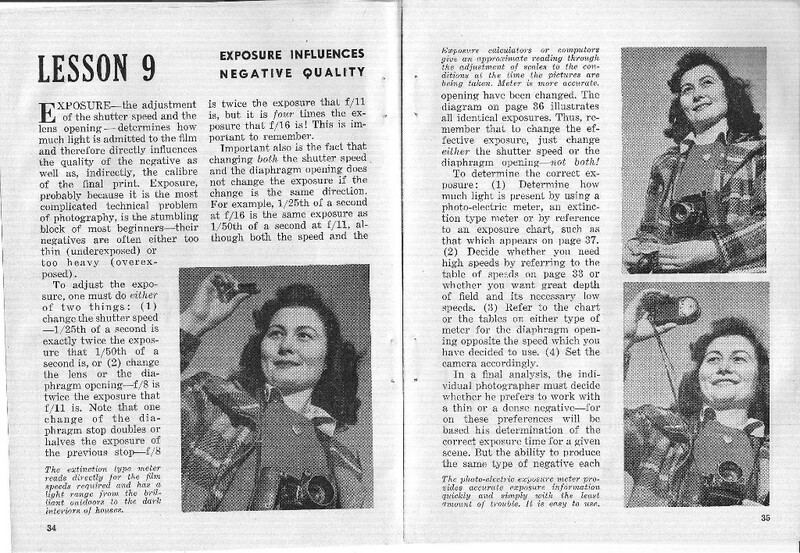 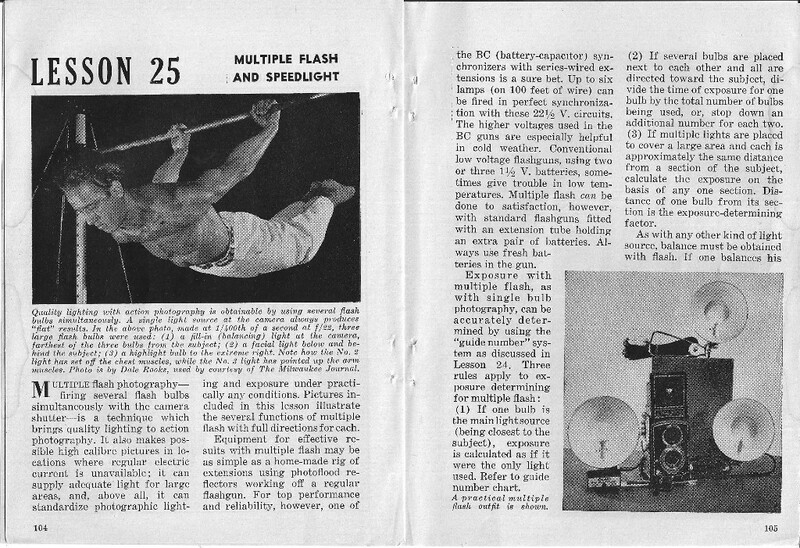 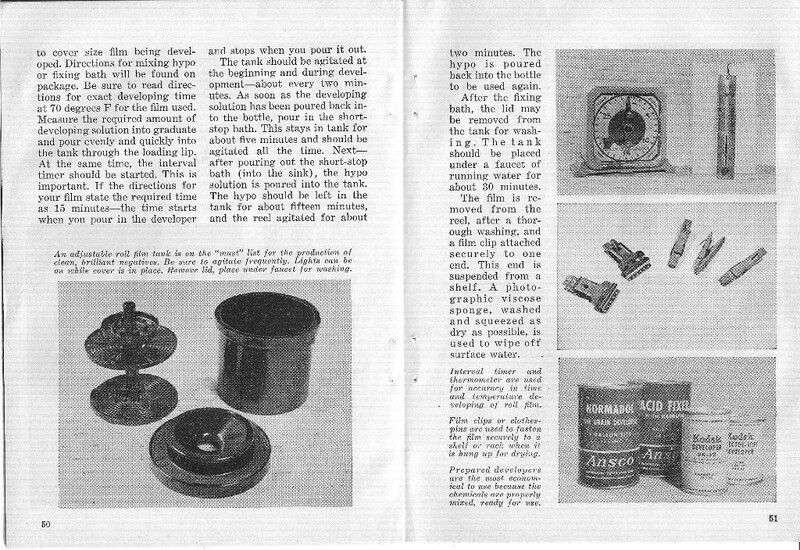 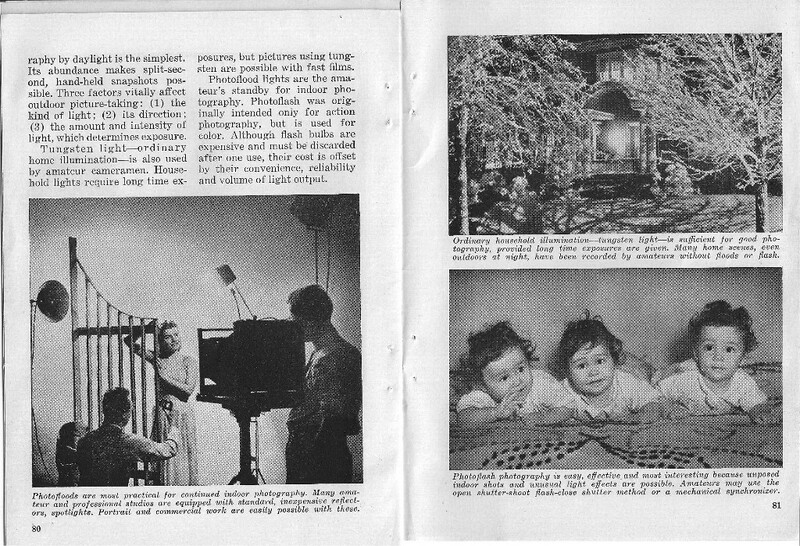 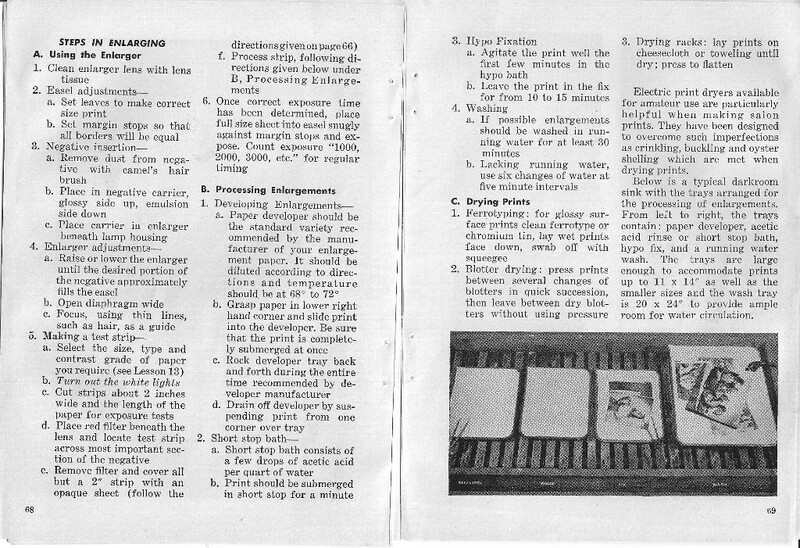 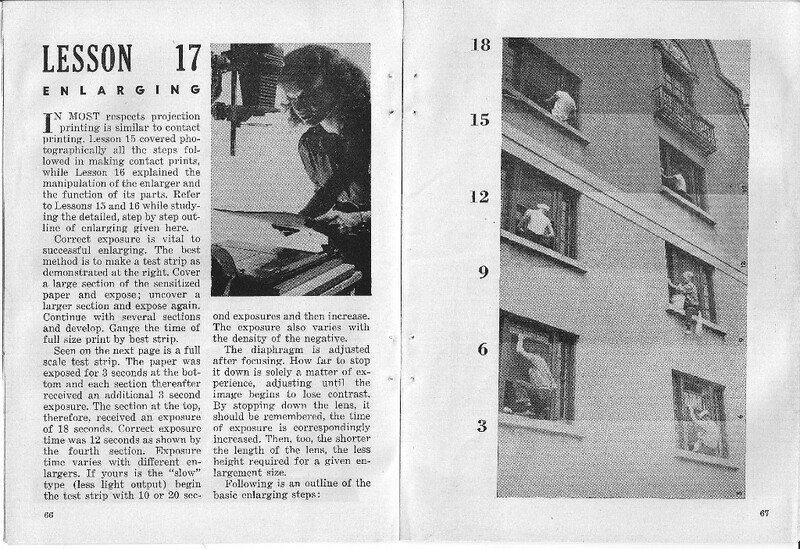 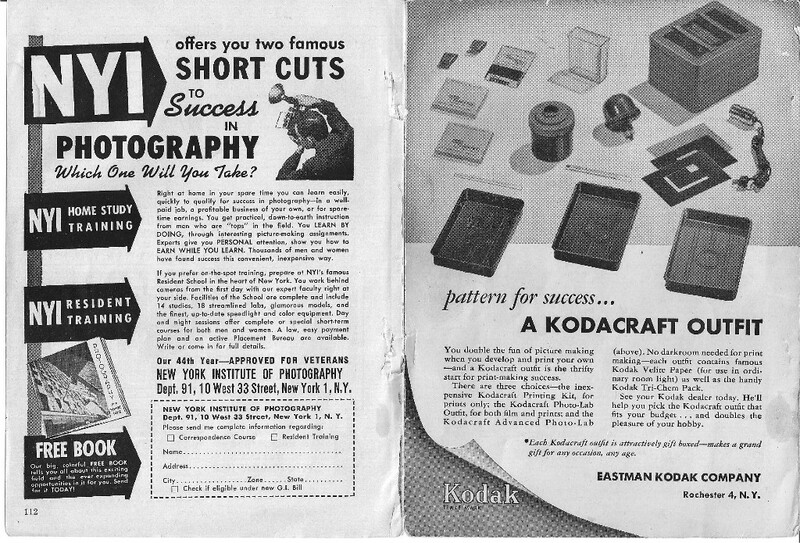 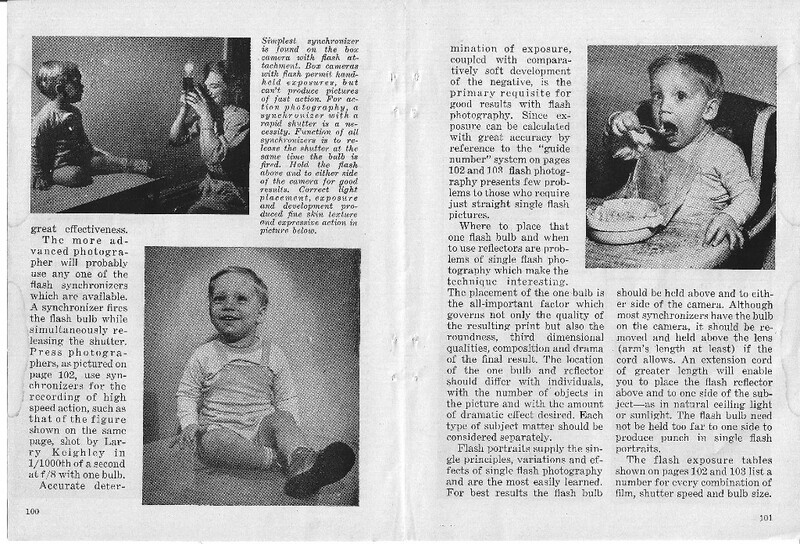 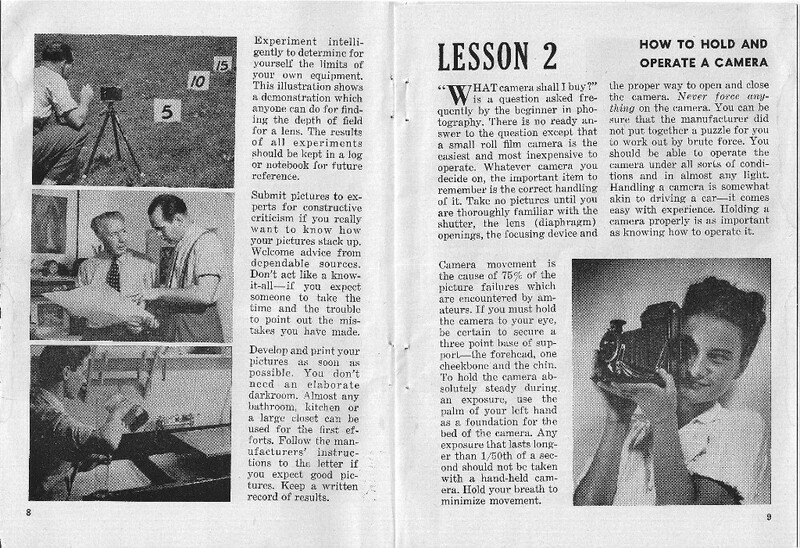 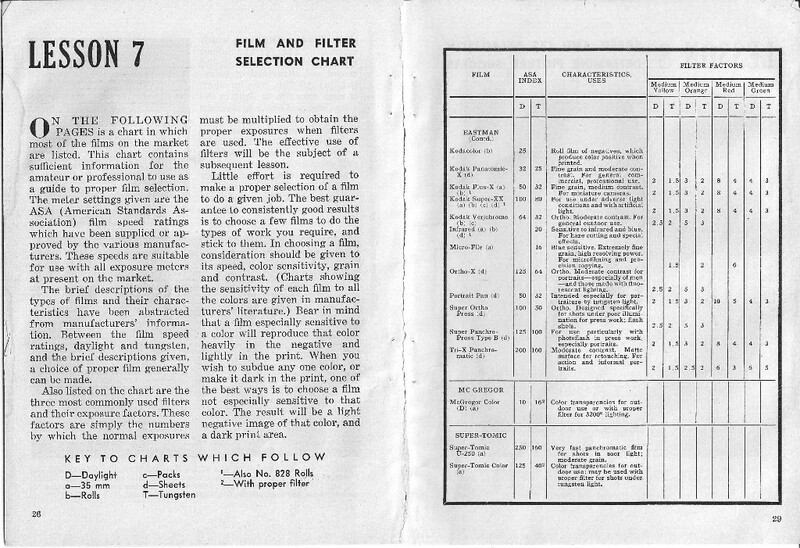 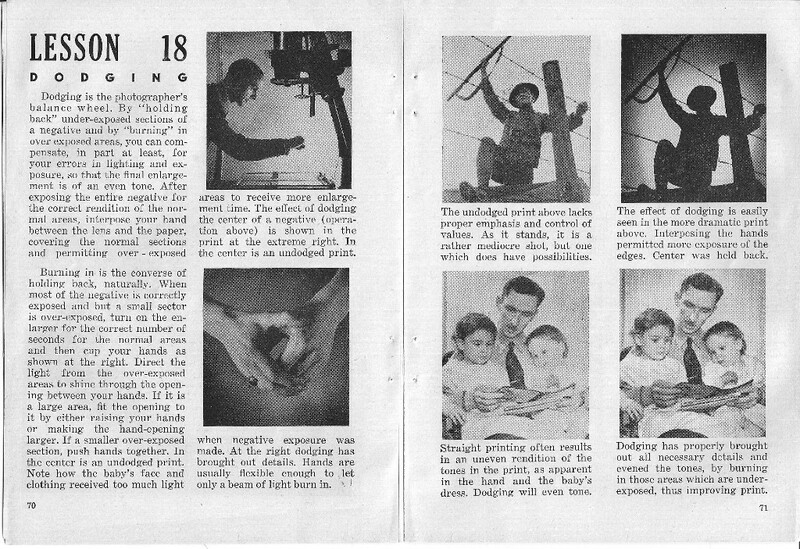 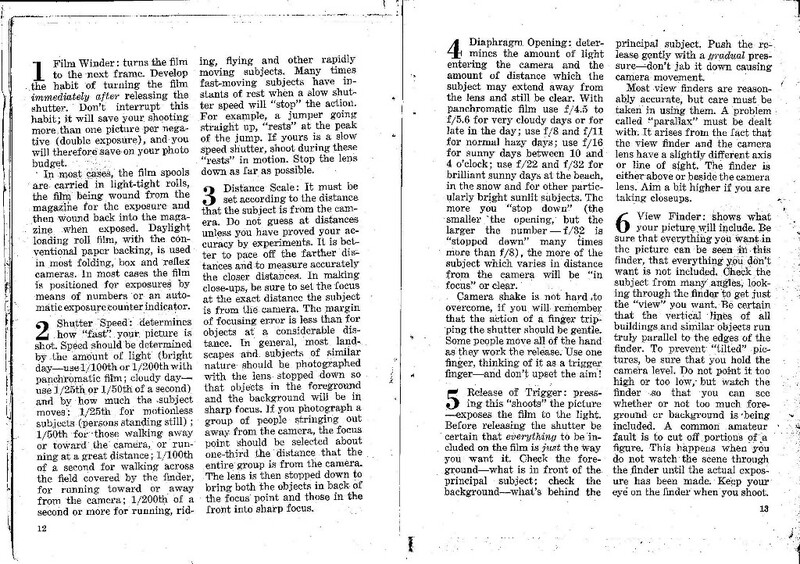 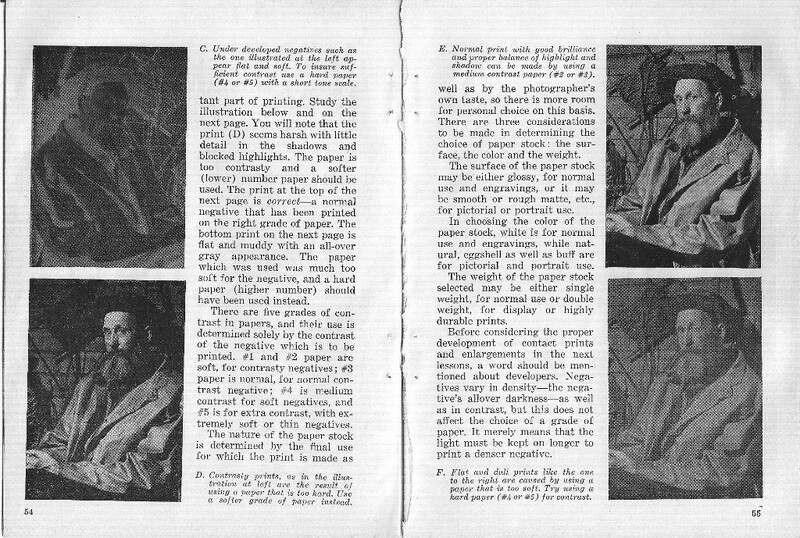 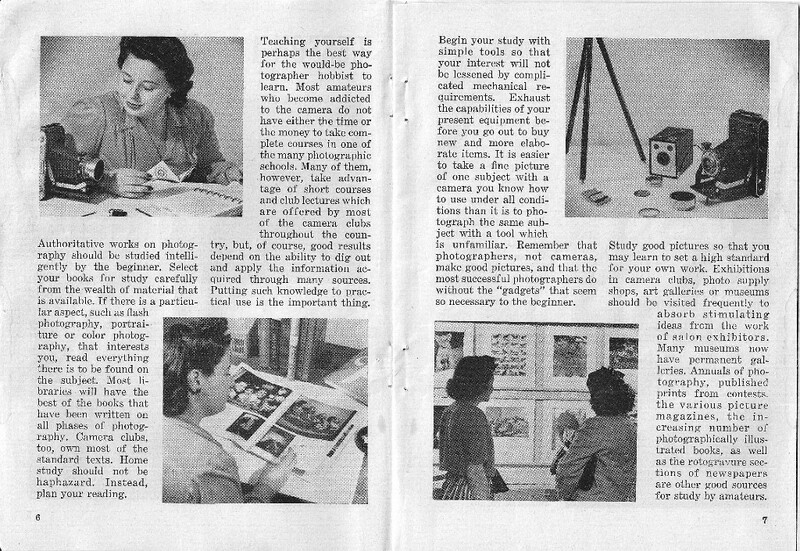 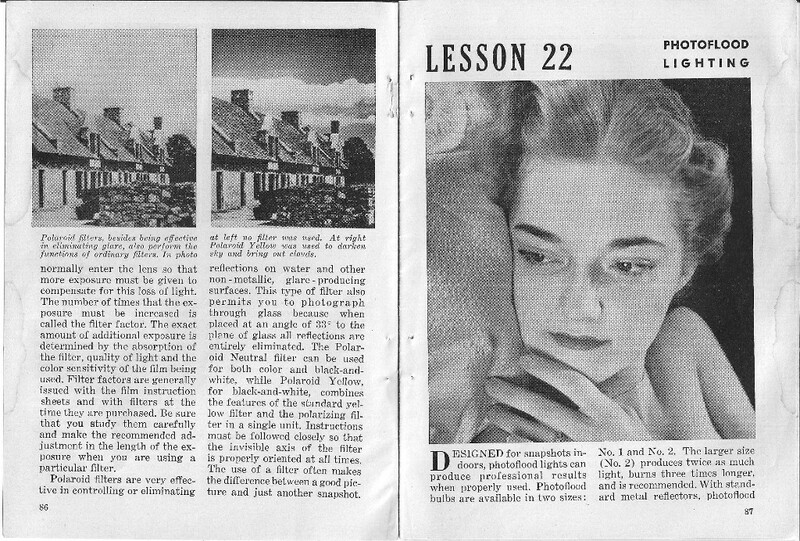 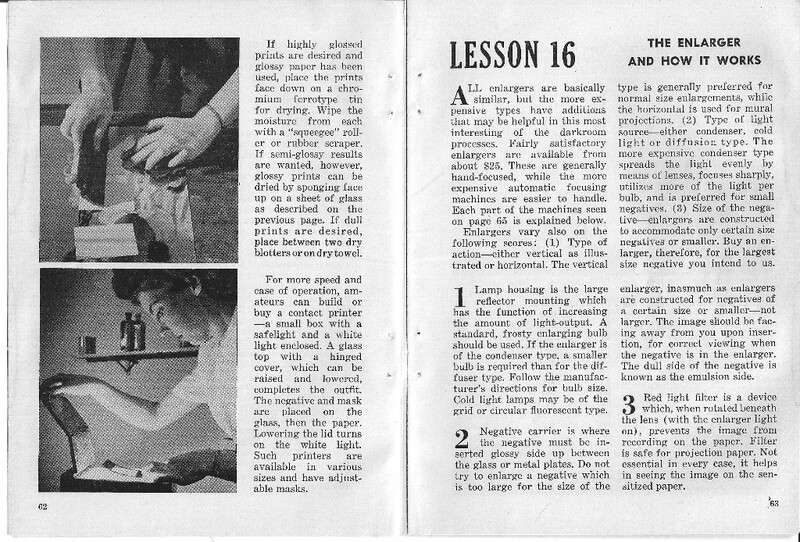 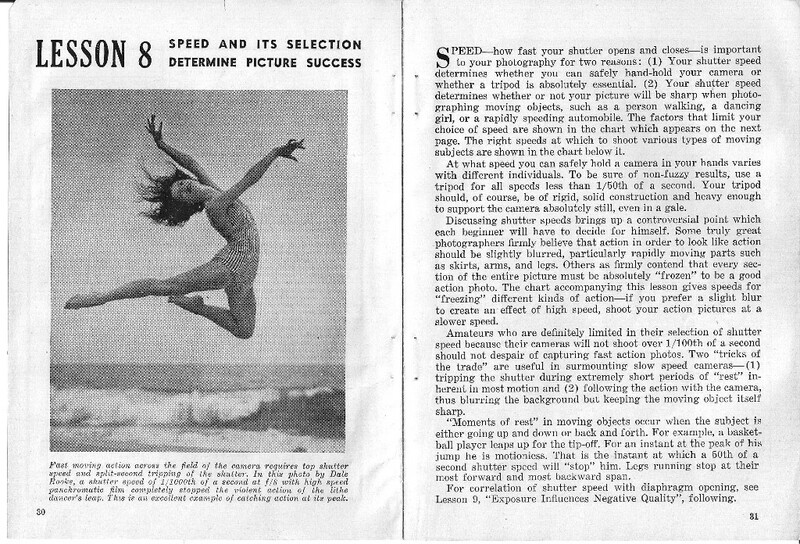 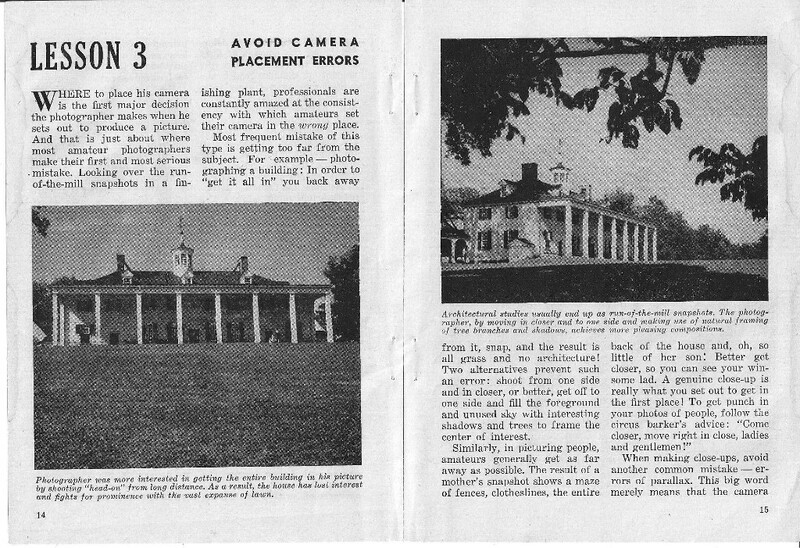 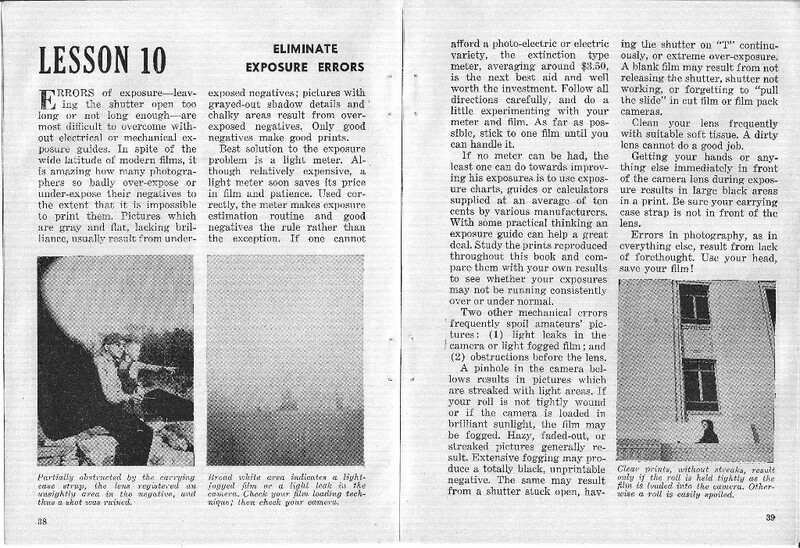 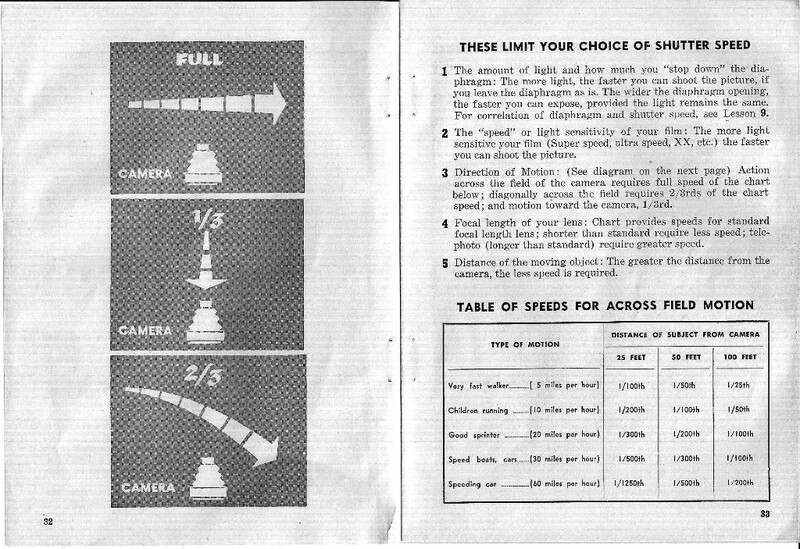 U. S. Camera magazine began its simplified photo course, the editors little realized how popular a feature they were introducing. 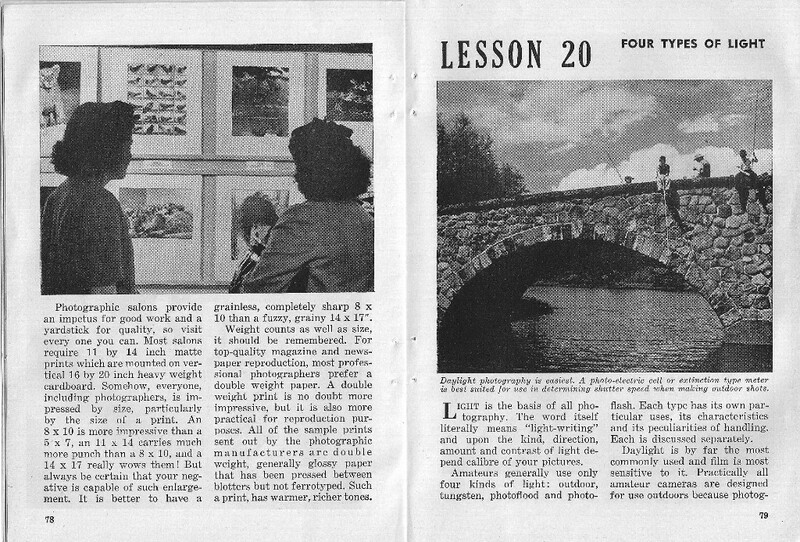 Nothing in the magazine has created more interest than this series. 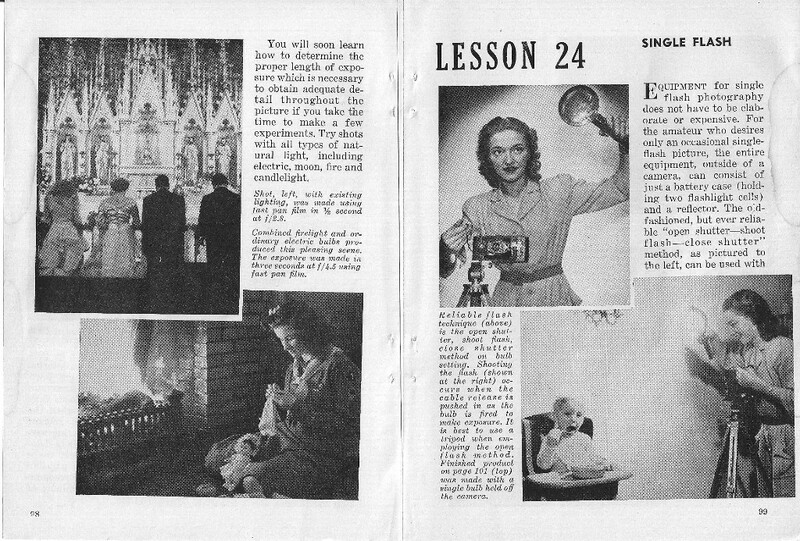 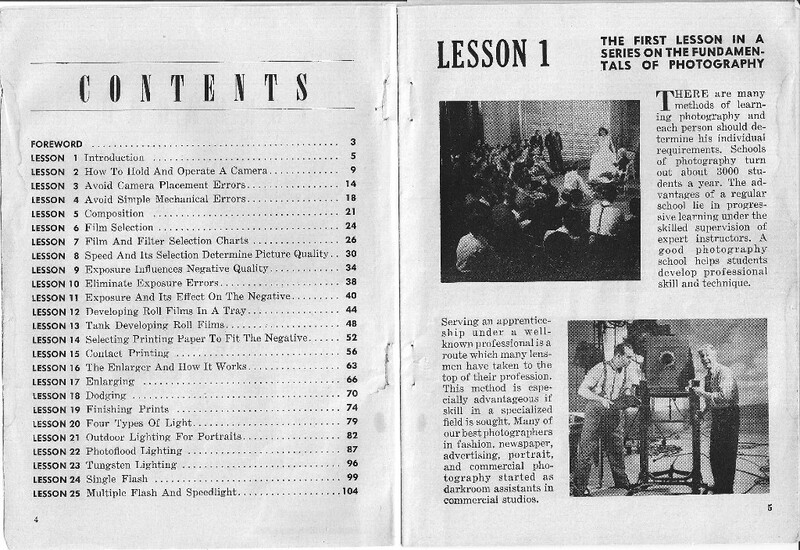 The first book, published in 1944, had 15 lessons, the second (1945 hard cover) had 20 and the 1954 issue had 25 lessons. 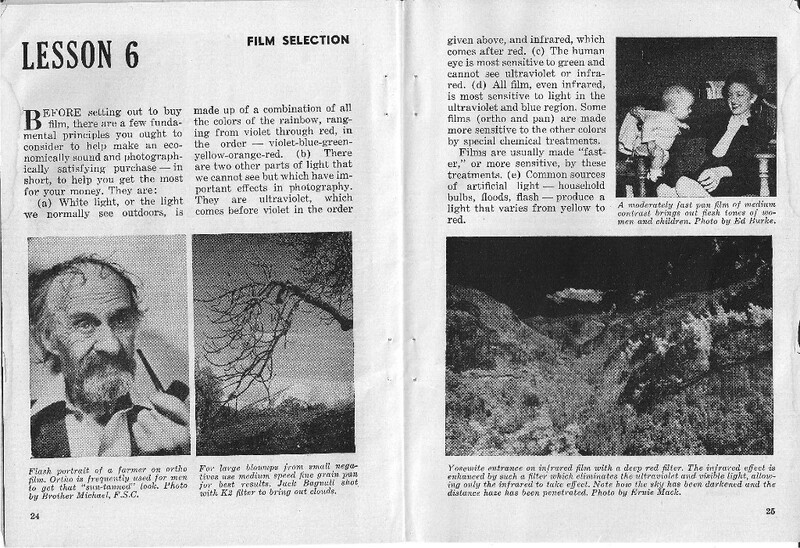 Since the 1954 photo book was published, more editions were published up to 1966 and 67 editions. 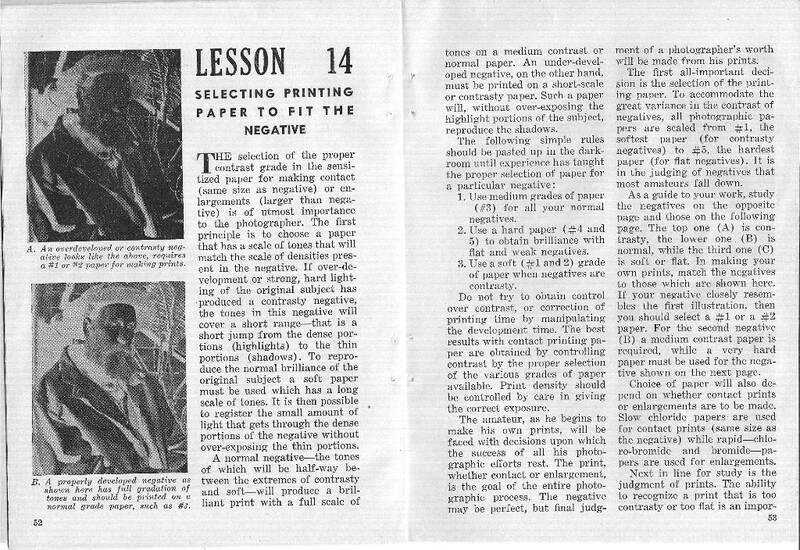 The digital republished version here is the 1954 paperback version. 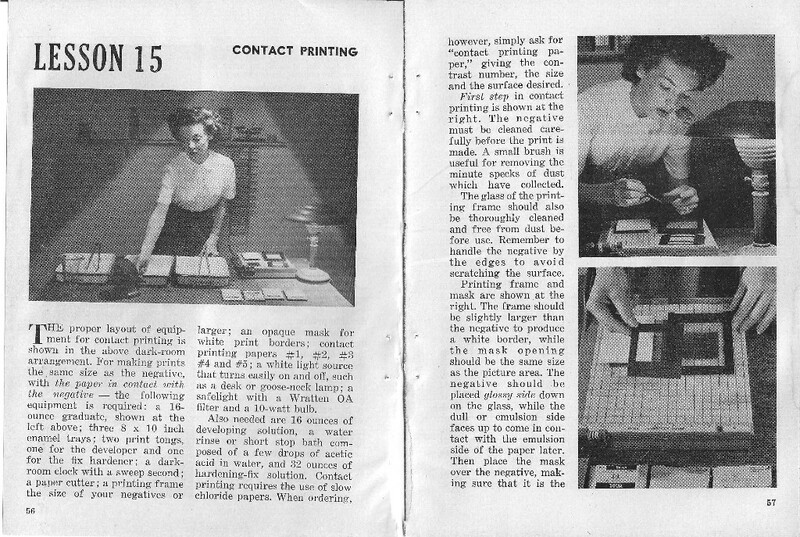 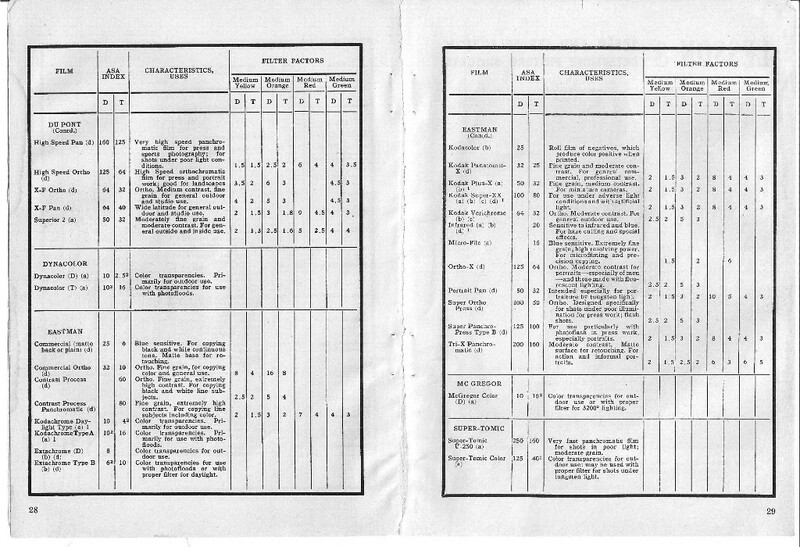 Each page measures 5.5 x 7.5 in. 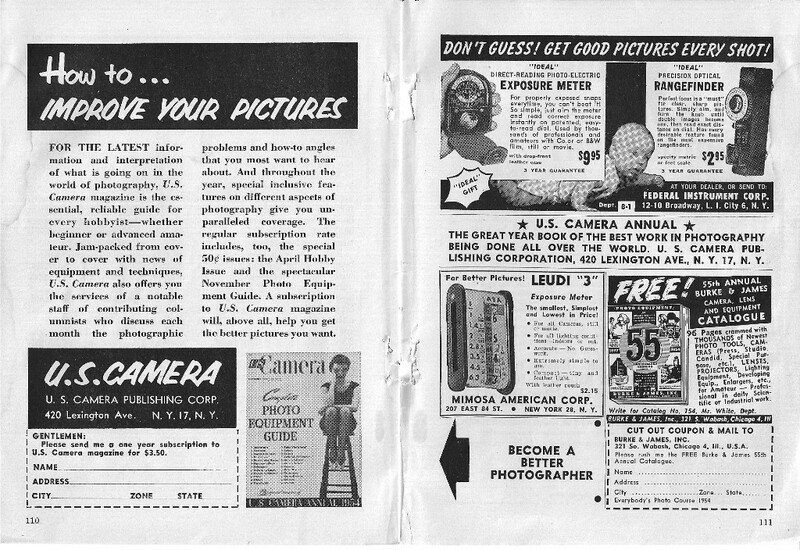 The last U.S. 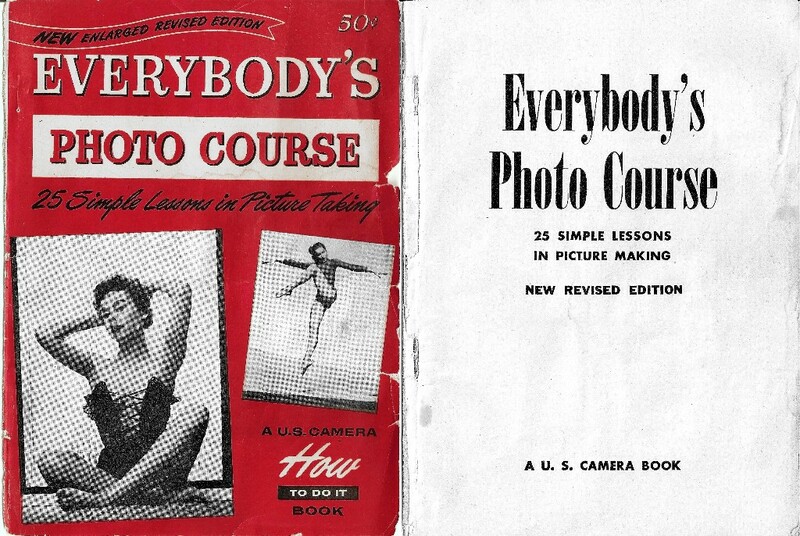 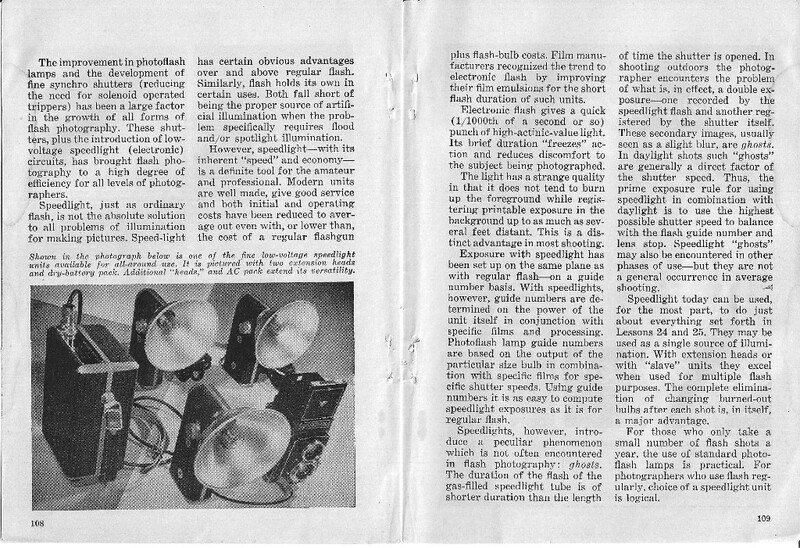 Camera books were the last three editions of, Everybody’s Photo Course, issued in 1961, 1966, and 1967. 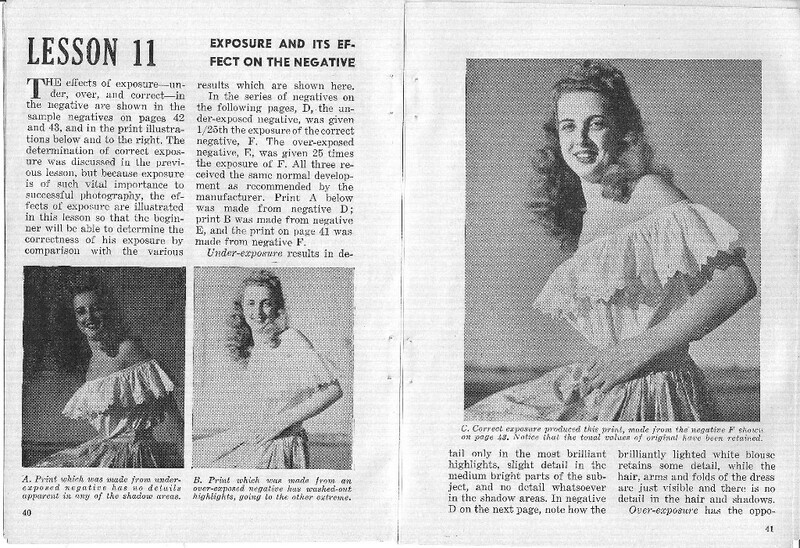 It was first released in 1944. 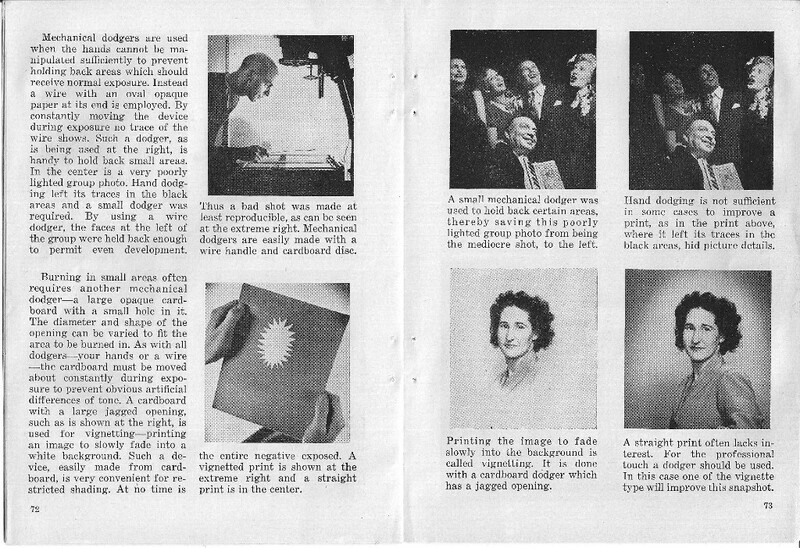 (From U.S. 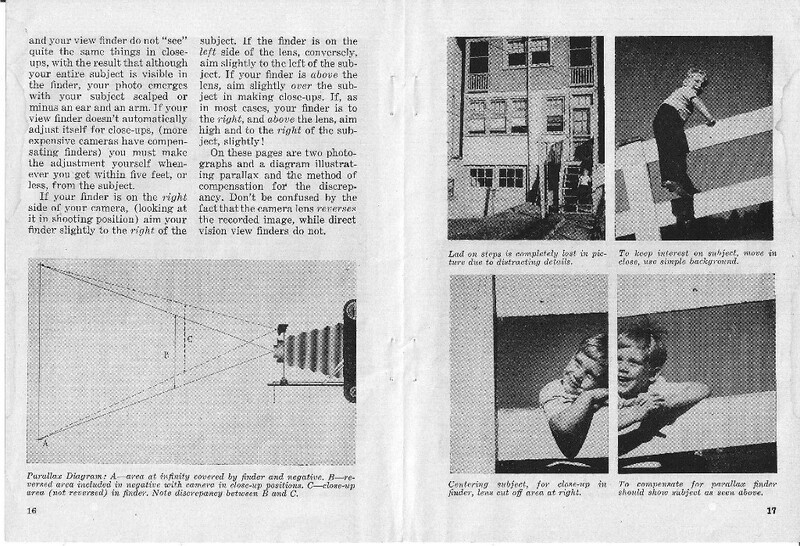 Camera: A Thomas J. Maloney Chronology by Gary D. Saretzky who also gave permission for this digital reprint.) 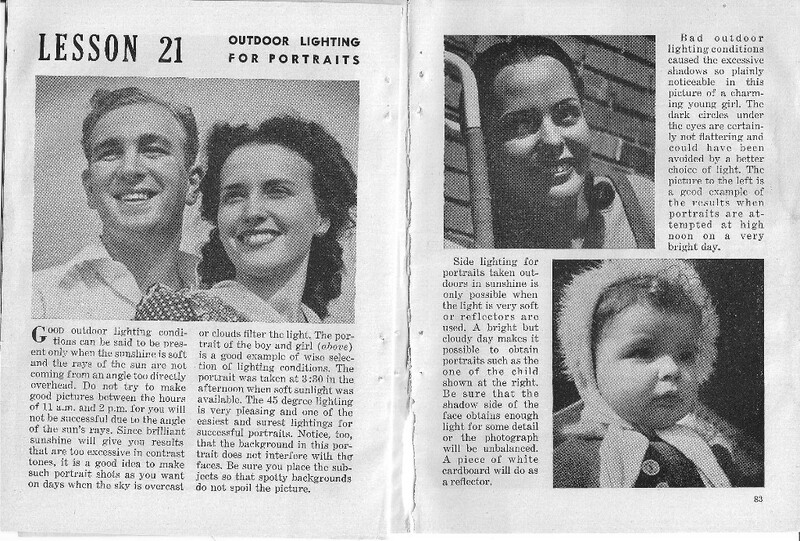 The personal reasons for publishing Dale’ s book are that his wife and my mother appear in the book 22 times on pages, 19, 29, 43 – 47, 75-77, 85, 87, 99 and 100. 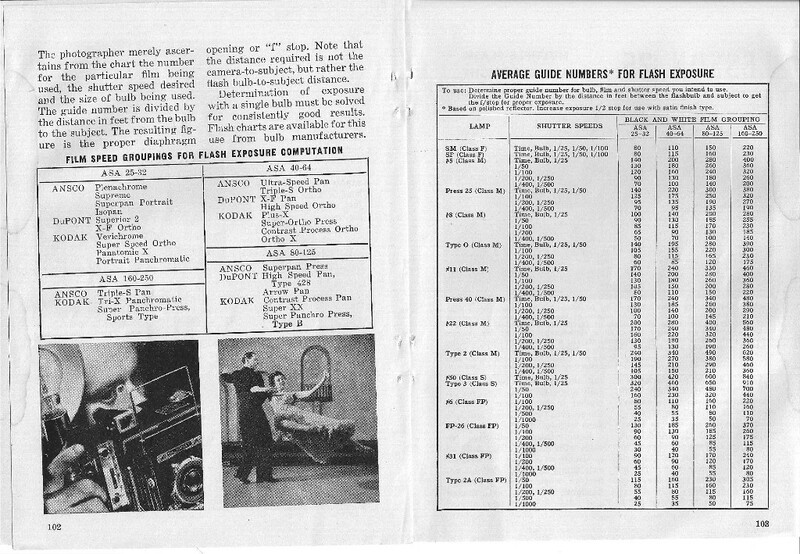 I appear 9 time on pages 17, 38 (with Dale), 99-101. 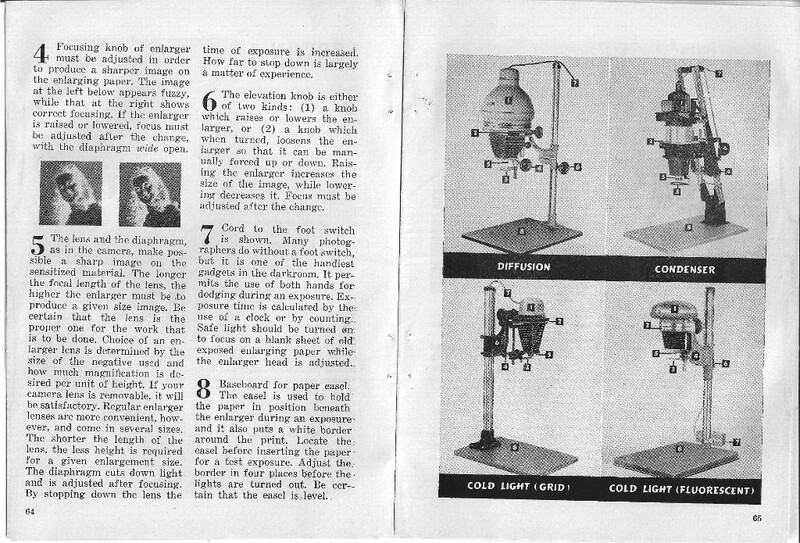 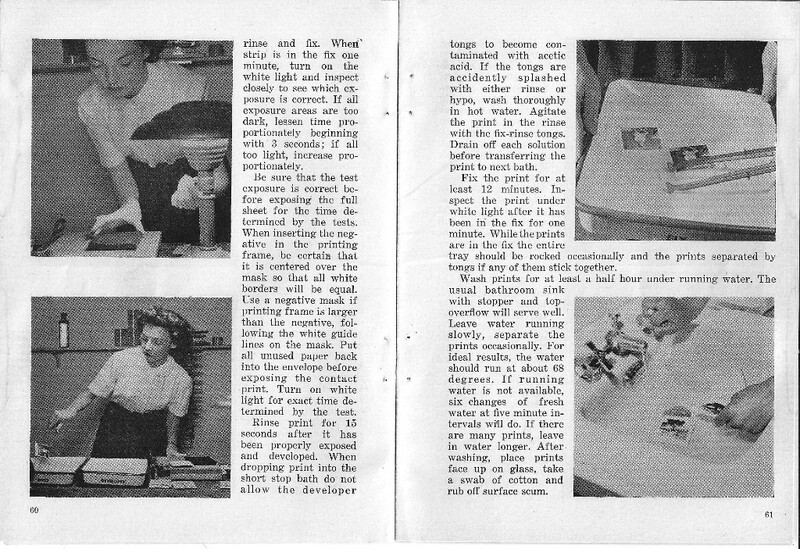 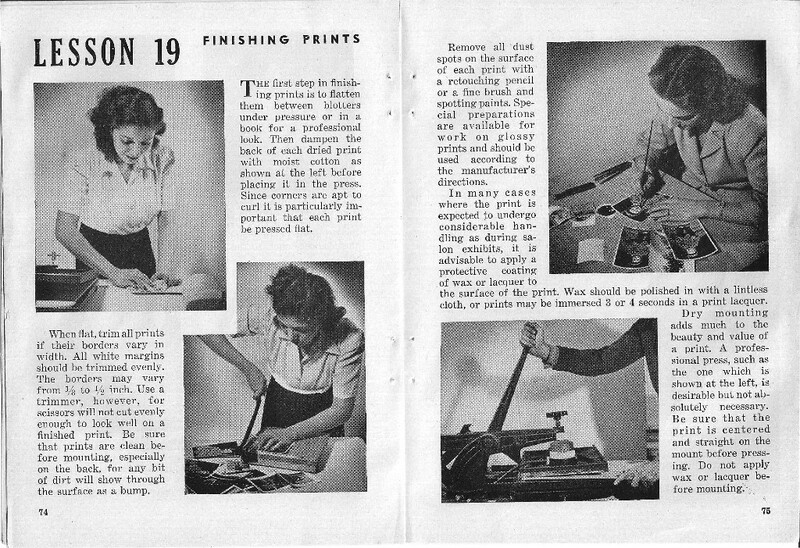 The photographic equipment shown in the book was still used by Rooks Advertising Photography in the late 50s when I worked there.